The Nintendo 3DS may only be a couple of days ‘out of the box’ in the UK but we already have some information on what it might cost to manufacture each console. Unlike previous product releases this cost analysis hasn’t come by way of a teardown but instead from an industry expert. David Carey, Vice President of technical intelligence for UBM TechInsights, explained what he thought the 3DS component parts cost. He said that the total cost would equate to £62 ($101). That’s about £9.36 more than the DSi bearing in mind that the recommended RRP of the device is £220 compared to the £149.99 for the previous model. Granted many retailers are offering the 3DS for £175-£197 but the main question is how much profit are Nintendo making from each 3DS? Unfortunately it’s not a simple case of subtracting material cost from sales price as Nintendo have manufacturing costs, logistical costs including worldwide distribution, advertising and of course the huge amount of research and development to consider – all of this contributes to the final shelf price. You must also remember that the retailer has to make a profit too – basically Nintendo much like other console developers make very little profit, that comes with the games and accessories down the line. We will have to wait for a more thorough teardown before making final judgement but this won’t stop people talking about the increase in price compared to previous models. 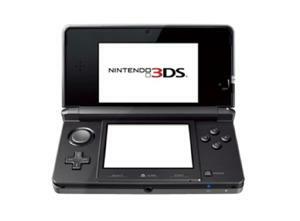 It’s roughly £62 dearer than the original DS and on average £43 more expensive than the DSi. Do you think this is too great a price hike or an inevitability for such a new device?